The NCAA is opening a door for states with legalized sports gambling to host NCAA championship events and officials in Nevada are already set to get in the game as soon as they can. 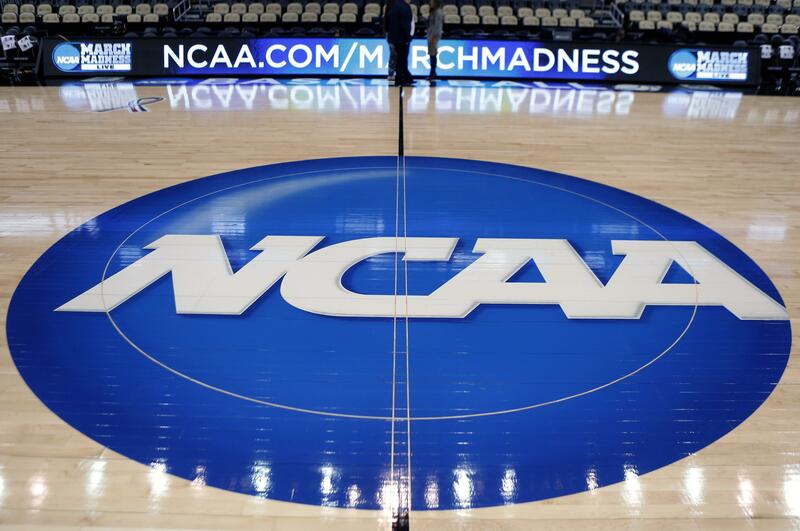 The governing body for college sports on Thursday announced a “temporary” lifting of a ban that prevented events like college basketball’s NCAA Tournament from being hosted in states that accept wagers on single games. The move comes three days after the Supreme Court overturned a federal law that barred most states from allowing gambling on professional and college sporting events. “Our highest priorities in any conversation about sports wagering are maintaining the integrity of competition and student-athlete well-being,” Emmert said in a statement. Emmert has said in the past he hoped lawmakers would make exceptions for college sports if sports gambling is allowed. “There might be a carve-out to eliminate college athletics from sports gambling similar to what we did with daily fantasy sports,” Emmert said during a college sports forum in December in New York. That would require state-by-state lobbying unless the federal government steps in to regulate. Lead1, an association of athletic directors for the 130 schools that play major college football, is pushing for regulation, too. As for host sites, most of the NCAA’s major championship events are already booked through 2022, including all rounds of the men’s basketball tournament. Women’s basketball tournament sites are booked through 2020. By suspending its policy prohibiting states with legalized gambling from hosting championships, the NCAA can go forward with already determined sites regardless of what states do with gambling laws in the near future. If the NCAA permanently lifts the ban on states with legalize sports betting hosting NCAA-run events, the first and biggest beneficiary could be Nevada and more specifically Las Vegas. Las Vegas did submit bids to host in T-Mobile Arena, home of the NHL’s Vegas Golden Knights, a men’s basketball regional, the men’s hockey Frozen Four and the NCAA championship wrestling meet during bidding that covered 2019-22. NCAA officials allowed Las Vegas to bid as they considered the possibility of changes coming to gambling laws and association policies. Expect Las Vegas, with UNLV as the host school, to try again for all those events, said Pat Christenson, president of Las Vegas Events. Christenson said having gone through the process should be a benefit next time around. Christenson said he is also interested in the idea of possibly bringing the NCAA women’s basketball tournament to Las Vegas in a Sweet 16 format, where the final 16 teams in the tournament would be whittled down to a champion at one site. Lifting the NCAA’s ban also means UNLV and Mountain West rival Nevada would now be eligible to host NCAA events such as softball and baseball regionals at their home facilities. Las Vegas does host college sports such as the conference basketball tournaments for the Pac-12 and Mountain West and a football bowl game, but those are not NCAA-run. The College Football Playoff is also not an NCAA-run event, but the administrators are conference commissioners who tend to respect NCAA rules. Sites for the CFP championship game have been chosen through 2024, leaving two more championship sites to be determined in the 12-year contract that runs through the 2025 season. A new stadium is being built in Las Vegas for the Oakland Raiders and is expected to ready for 2020. That could also be a destination for an NCAA Final Four. Published: May 17, 2018, 8:01 a.m. Updated: May 17, 2018, 2:05 p.m.